This week HTC increased the trade-in offer to $375 for shoppers purchasing their HTC One smartphone. The one-time offer for older smartphones means a trade-in value from $100 up to $375; previously, it was only $100. The new deal is only available now through May 5th, suggesting HTC is looking to really increase sales of the HTC One this weekend. The promotion is available in the US. The previous offer of only $100 also required pre-registration, but that is not required for this promotion. While the offer sounds great, every smartphone isn’t eligible for the full $375 HTC One Trade-In offer… not all smartphones are created equal. As expected, the latest iPhone 5 smartphone can go for the highest price – up to $375, but a Motorola Droid Razor maxes out at $184, and the offer isn’t worth a penny more than $100 for a Blackberry Curve or Blackberry Bold. You can find out exactly which phones are eligible for trade-in and how much you can get by visiting HTC’s link here: http://www.htctradeup.com/htcone/100promo/. The Get Started button allows visitors to enter their smartphone information and get an exact trade-in amount. The promo code is HTC100 (as noted on this other HTC page: http://www.htc.com/us/smartphones/htc-one/weekendoffer/) Both sites have details on how to claim trade-in money. Hint: that trade-in receipt from the store is worth a lot of money. HTC is trying to increase market share with the HTC One $375 Trade-In offer, as they have been sliding downward for the last two years. During that same period, Apple and Samsung smartphone shipments have increased more than double. Analysts think the HTC One is a big improvement over previous phones released by HTC. They’ve also followed a different path with sales and marketing, releasing the same model with all the major vendors simultaneously, as Samsung and Apple have done in the past. 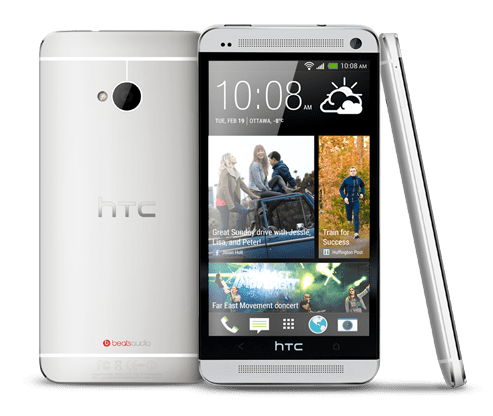 Do you think HTC’s latest marketing ploy with the HTC One $375 Trade-In promotion will life HTC’s sales and stop the slide?